See scan - perfect condition and great margins. This is a rare early 18th century genuine etched engraving of Friedrich Schiller. Paper has watermark and the piece is Guaranteed authentic. 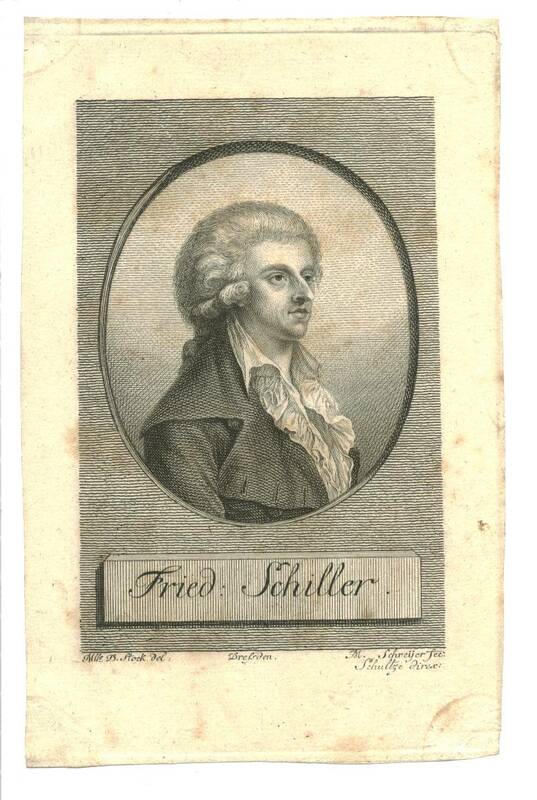 Great artist work of art - gravure and engraving done by M. Schreijer & Schultze. Also there is a mark print at bottom saying the the piece was printed in Dresden - great German and antique Germany item. Scarce collector piece. Not framed.